Choosing ATL to host its flagship East Coast retailer (woo! 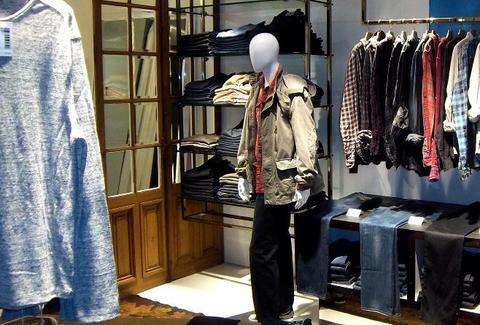 ), Joe's peddles premium denim, topwear, and jackets in a mostly white setup with antique rugs. Get your paws on a variety of tees (long-sleeves, burnouts...), plaid button-ups, leather messenger bags, and of course jeans ranging from the relaxed fit Rebel to the skinny Outsider with a "drop rise", also what other people in your fantasy league said about you picking up Andre, but screw them, Jeff George has been looking great in walkthroughs this week.